Challenger Networking Group | Page 3 | Challenger, Gray & Christmas, Inc.
Last night, our SVP David Pinette, along with founder Scott Rosen and partner John Forde, hosted the the 19th annual Delaware Valley HR Department of the Year Awards dinner at the Crystal Tea Room in Philadelphia. Congratulations to all the winners and thanks to all who participated! SVPs Pete Tzavalas and Jess Chan at the Peer 150 HR Conference! Our SVPs Pete and Jess had a wonderful time at the Peer 150 human resources conference in San Francisco this past week. Included in the conference were tours of Tesla, Yelp, and Glassdoor. We were able to squeeze in a little fun. Read more about SVPs Pete Tzavalas and Jess Chan at the Peer 150 HR Conference! Join Tracey Kearny and Gerry Sargent as Chief Human Resource Executive (CHRE Houston) presents author and leadership expert Tony Bridwell for a discussion and book signing! 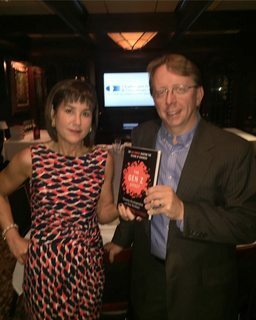 Our own VP of Boston, Lisa Turesky hosted her fall HR Leadership Dinner Series with guest Dan Keldsen, author of The Gen Z Effect: The Six Forces Shaping the Future of Business and speaker to some of the largest global companies in the world. Lisa's guests are among the brightest HR leaders from Boston's and greater New England's premier companies. 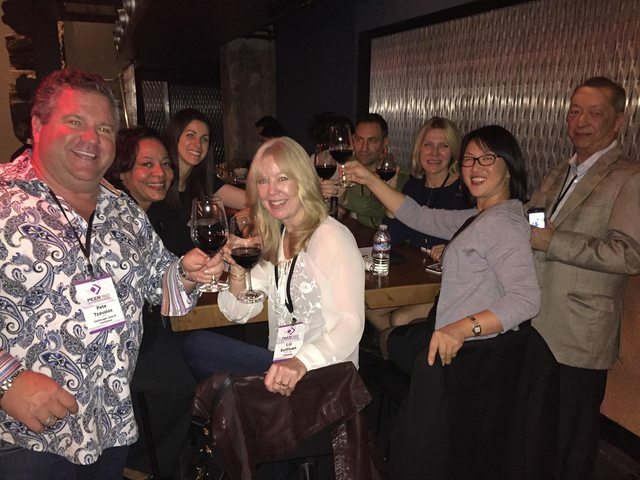 Our SVP Pete Tzavalas attended the HR conferences in California and Arizona, meeting with amazing HR professionals. In Arizona, Pete had the pleasure of spending a few hours with keynote speaker José Benitez Cong! SVP David Pinette in Philadelphia: The HR Department of the Year Awards Kickoff Event! SVP David Pinette and Challenger, Gray & Christmas co-present the HR Department of the Year Awards and on April 13, the kickoff event was held at the Union League. Last year's winners Teleflex, Lehigh Valley Health Network, Lassonde Pappas & Affiliated Distributors, pictured above, presented and discussed the nomination process. This year's event will be held November 17 at the Crystal Tea Room. Read more about SVP David Pinette in Philadelphia: The HR Department of the Year Awards Kickoff Event! SVP Pete Tzavalas welcomed Ken Barry, President of WWH Coaching, to discuss the crucial first 100 days on the job. Thanks to all who attended to discuss this important topic!